We heard the music and stirring words of “Onward Christian Soldiers” as we entered the house used as the chapel of the Lagos Nigeria Fourth Branch. The singers—eighteen elders, two sisters, and one missionary couple—were preparing for their zone conference. We were impressed by their bright, eager smiles and faces glowing with enthusiasm. The single missionaries had been called to serve from homes in Ghana, Sierra Leone, and Nigeria. The couple from Canada were on their second mission. A few days earlier I had presided at a stake conference in Benin City, Nigeria. 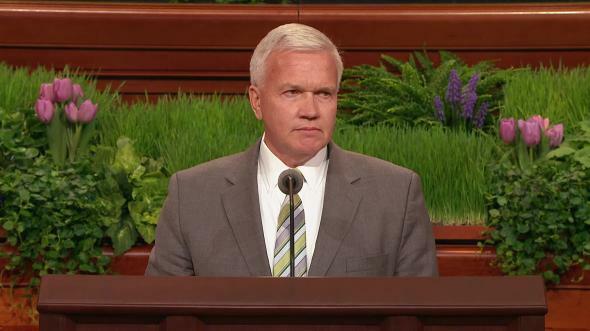 The stake had been created a year earlier and had grown by over 260 members, mostly families, during that period. The percentage of member families receiving home teaching visits in this large, sprawling city is well within the range of established stakes in developed countries, even though few families in Benin City own cars or telephones. 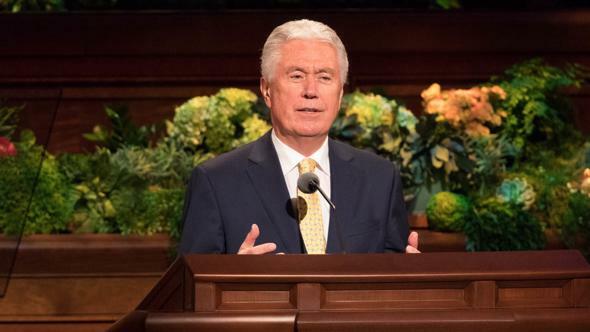 Attendance at sacrament meeting in the new stake is high in spite of ongoing political turmoil and frequent public transportation disruptions. 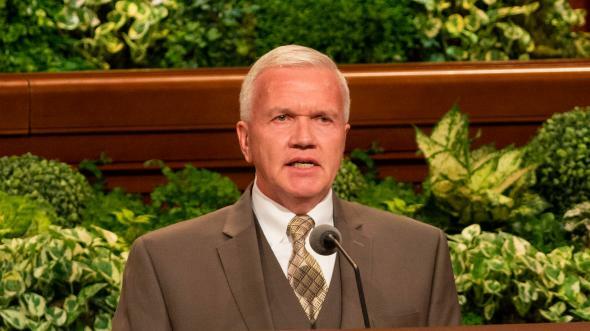 Nearly 50 percent of stake members were present at the Sunday morning session of stake conference; many families walked considerable distances to attend. A well-trained choir sang with joy the hymns of Zion. Comparable levels of participation and dedicated, competent leadership are evident wherever the Church is established in sub-Saharan Africa. Africa is truly seeing the dawning of a brighter day. The first stake on the continent was created in South Africa in 1970. There are now five stakes in that country. The Johannesburg South Africa Temple was dedicated in 1985. Five additional stakes have more recently been organized in Nigeria and Ghana, the first a mere decade after the 1978 revelation on the priesthood. Over fifty districts of the Church are growing in Africa under inspired local leadership. The Church is authorized to do missionary work in twenty-six of the forty-four countries included in the Africa Area. Growth of the Church in Africa moves forward deliberately and steadily according to inspired design. Altogether there are 80,000 members, 12 missions, 10 stakes, and 425 wards and branches. 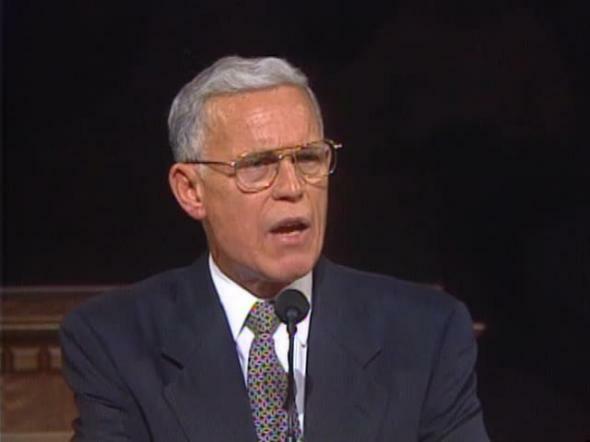 The number of baptisms during 1993 totaled over 9,000. 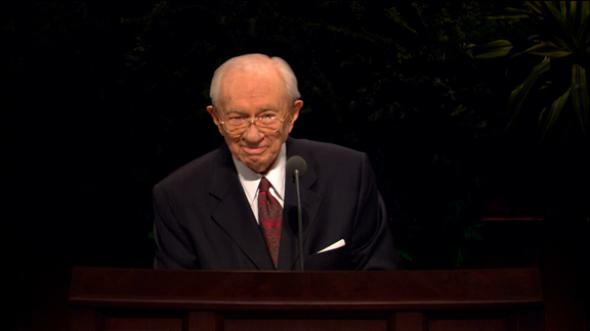 Even greater numbers of baptisms would be possible if that were the sole measure of success. However, we are anxious that each of our African brothers and sisters be remembered and “nourished by the good word of God” (Moro. 6:4). The Church therefore proceeds in an orderly and planned fashion. Efforts are focused to create centers of strength. The goal is to establish deep pools of leadership that will become the foundation for future Church expansion. Missionary work is concentrated geographically around existing chapels. Buildings are sited for occupancy by two or more Church units. 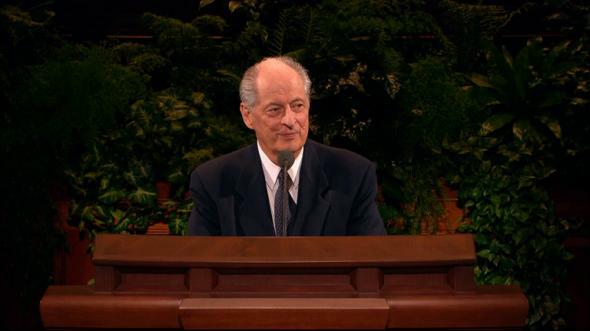 The missionaries concentrate their efforts on converting families and potential leaders. Major attention is given to training local leadership, which is made easy because members in Africa are eager to be taught and quick to learn and abide by gospel principles. Nearly half of the 960 full-time missionaries serving in Africa are Africans, and the number is growing. Retired couples from the United States and Canada play a significant role. Unselfishly leaving behind home, children, and grandchildren, these devoted couples are ministering angels to grateful, loving people. 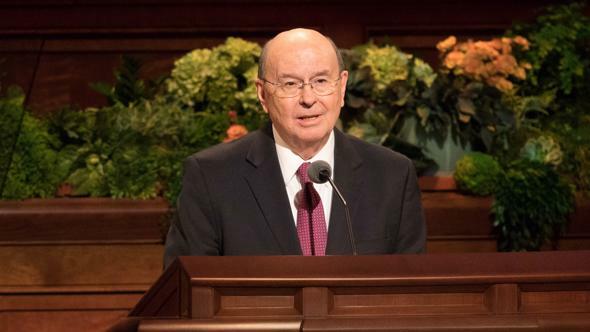 Finding, testifying, baptizing, and, above all else, loving are duties eagerly assumed by the missionary couples who truly comprehend what retirement can be. These couples also provide deeply appreciated gifts of literacy, better health, and humanitarian service to members and nonmembers. Rich and eternal are the rewards as these couples nourish and carry “in their arms, and … upon their shoulders” the truth-seeking people they are called to bless (see 1 Ne. 21:22). Sacrifice may be required—discipleship is not always easy—but life is never the same for a couple who have tasted the sweetness and joy of missionary service. Otherwise, why do so many return for second and even third missions? More couples are urgently needed in Africa and elsewhere. My brothers and sisters who are retired or approaching retirement, please prayerfully consider the rich blessings that flow from missionary service. If you should “bring, save it be one soul unto me, how great shall be your joy … in the kingdom of my Father” (D&C 18:15). 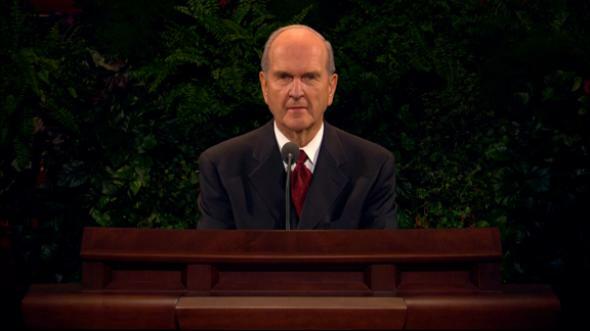 When the Church was still in its infancy, the Prophet Joseph Smith stated: “Our missionaries are going forth to different nations; … the Standard of Truth has been erected; no unhallowed hand can stop the work from progressing; … but the truth of God will go forth boldly, nobly, and independent, till it has penetrated every continent, visited every clime, swept every country, and sounded in every ear, till the purposes of God shall be accomplished, and the Great Jehovah shall say the work is done” (History of the Church, 4:540). Yes, in spite of challenges, the work of the Lord moves forward steadily in Africa. 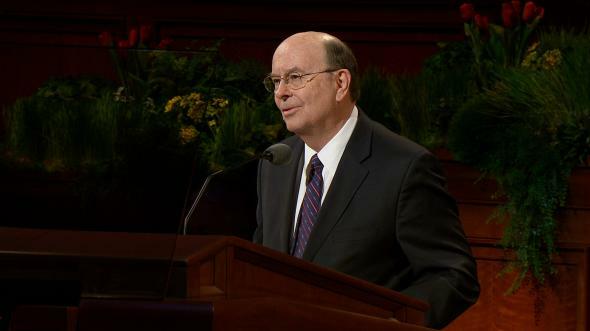 I am humbly grateful for my calling as a Seventy, and I rejoice in this opportunity to serve. I love the people of Africa. I am thankful for the sweet companionship of my wife and for the faithful prayers of my children and their families. 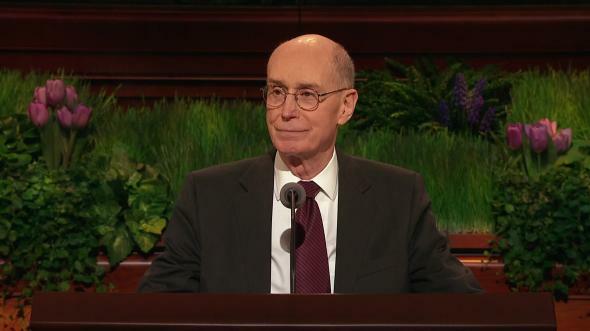 Brothers and sisters, I know that my Redeemer lives and is the Savior of the world, that this is the only true and living church upon the earth, and that President Howard W. Hunter is a prophet of God. And to this I bear solemn witness, in the name of Jesus Christ, amen.